Finnair was first founded in 1923 and is regarded as Finland's largest airline carrier. Its primary hub is at Helsinki-Vantaa Airport in Finland. Finnair and its subsidiary airline companies dominates both domestic as well as international air travel markets in Finland. 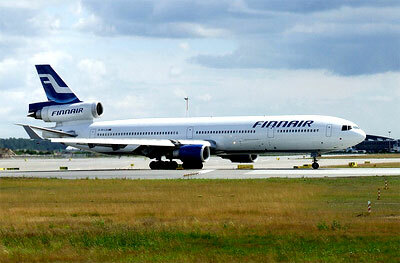 Finnair flies to over 15 domestic flights and 55 international flights and it is a member of the Oneworld Alliance. Besides domestic and international flights, Finnair also operates seasonal charter-flights to selected destinations.Finnair operates lounges at both Helsinki-Vantaa Airport and Stockholm-Arlanda Airport. Finnair Plus is Finnair's frequent-flyer programme with Basic, Silver, Gold or Platinum memberships. These memberships tiers are awarded to passengers once they acquired enough miles. Besides Basic, Silver, Gold, and Platinum members will be given access privileges such as premium check-in and priority boarding. Finnair also awards frequent-flyer partnerships to passengers travelling with Finncomm Airlines as well as Brussels Airlines, on top of those already in the Oneworld alliance.